There are many factors that should be taken into consideration when considering getting a tree removed. If you have a tree that looks like it may be dying and are thinking about getting it removed, you need to check whether the tree is causing any damage to your property, find out what tools will be necessary to get the job done as well as learn what costs to expect when removing the tree. Often times, a dying tree can be left alone to die in its place if only it is not a danger of falling down. Falling debris could cause serious damage to not only people walking by, but to vehicles, buildings and the property. If the tree has large roots that are pushing up concrete, it could cause damage to the surrounding buildings. If at least half of the tree is damaged, it should be removed. Although a tree that seems to be declining can survive for many more years to come, it might not grow as well and may need to be removed in the future. The average price of having a tree removed is between $500 and $1,000. This cost usually includes chopping the tree, cutting it into smaller pieces and removing it from your property. 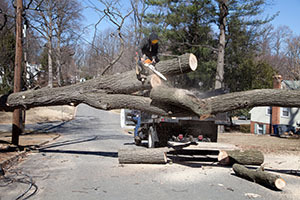 Each tree removal job is unique and the best way to learn about what your cost may be, is to contact a local tree removal service that can go over the details. Removing the stump: Removing the stump is normally not included with the price and will cost you anywhere between $60 and $350 per stump. Chipping of the limbs: One thing you might want to consider is having the limbs chipped instead of removed because it might be included in the tree removal. If the tree removal service has a limb chipping machine with them, it shouldn't cost too much more. However, if they don't, it could cost you an additional $75 to have this done. Tree trunk removal: This could cost you an additional $50 to $100 to have the trunk removed. Travel cost for them to come to your home: If the area where you need the tree removed is farther away from their company, meaning they will have to travel a long way to get to the tree for removal, you might have to pay more for this as well. Make sure to ask them if this service is included in the tree removal. Log splitting: Although you may not need this, it might be nice for them to do this for you. This is especially true if you have a fireplace to use the wood in once it is split. However, this supplementary service could cost you an additional $75 or more. Once you find out if the tree should be removed and what it will cost you altogether, you will be happier when it is finished. Having a decaying tree in your yard isn't just dangerous but can be an eyesore as well. 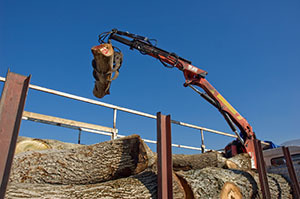 Contact an experienced tree cutting service to receive a quote today.